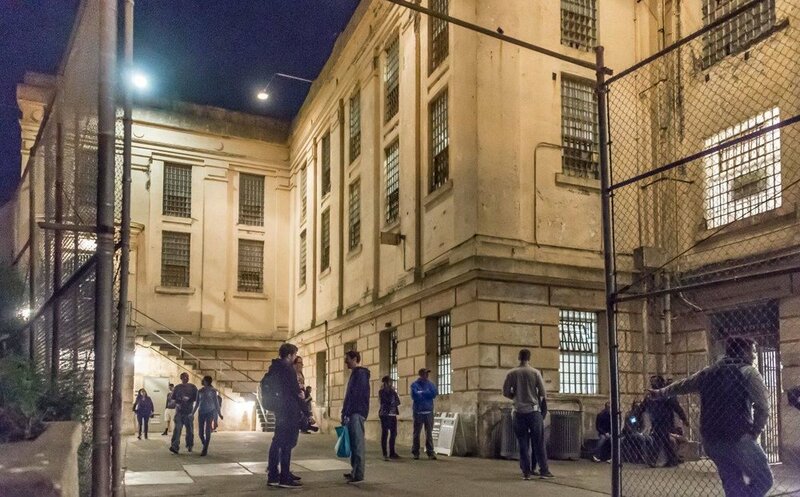 Touring Alcatraz Island is fascinating but the night tour takes an extra special step back in time during the eerie maximum security days when criminals such as Al Capone, Machine Gun Kelly and Robert "The Birdman" Stroud strolled the austere cellblocks. The last inmate left in 1963 and this desolate island has since reinvented itself to an Indian reservation and now a bird sanctuary, historic garden and a National Park treasure. The night tour ferries leave from Alcatraz Landing on Pier 33. After a narrated cruise, we were greeted by a park ranger who gave us a brief history and led us up the hill towards the prison. As we head uphill the sun set and that's when the magic happens. All tours lead to the shower room. You can imagine what life is like showering without privacy from other maximum security prisoners. Here is where you wait in line to pick up The Cellhouse Audio Tour which is part of the package. Life behind bars spring to life as many stories unfold to the narration from inmates, correctional officers and residents. 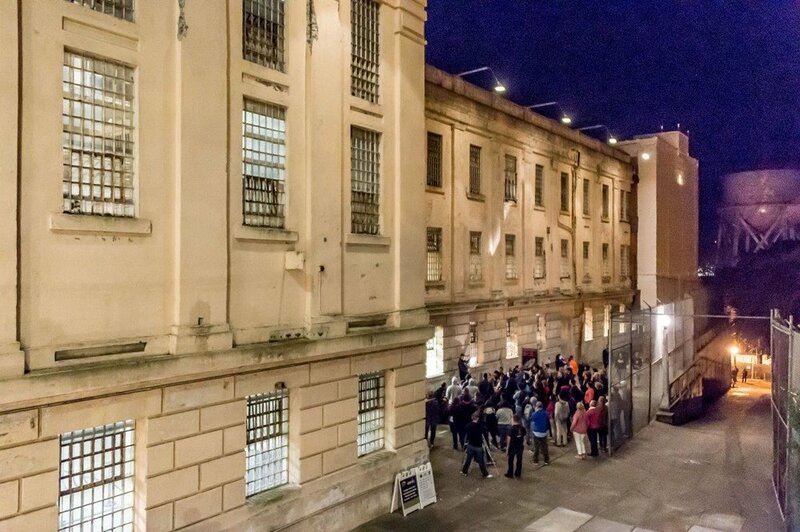 Special night tour attractions includes the locking up of the cell blocks and spending some time in a closed cell. 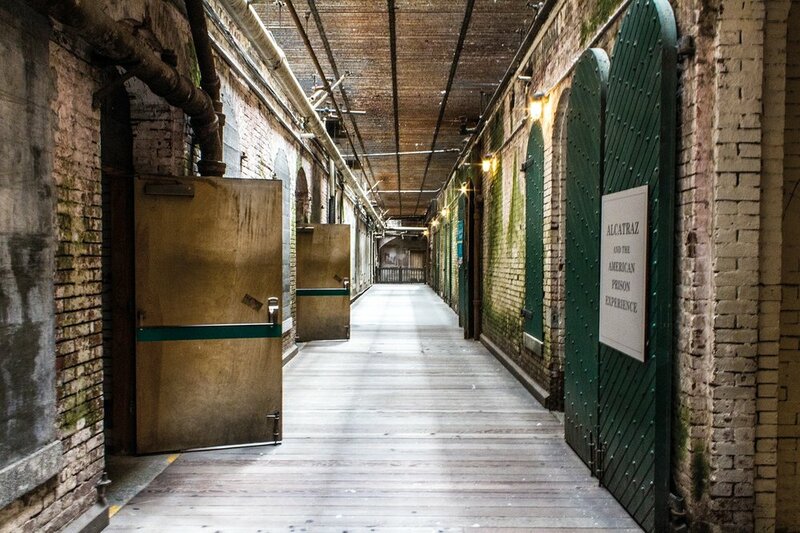 The isolation block takes on a whole new meaning in the dark of night, visit the hospital in its state of arrested decay and Robert "The Birdman" Stroud's hospital room where he spent eleven of his seventeen years at Alcatraz. You can also explore areas outside the prison, including the Civil War buildings, gardens and the area around the lighthouse and ruins of the warden's house and the baseball diamond out back. I've been out to the Rock many times, but this was my first time being there at night. The first time I visited Alcatraz I was really lucky to tour with ex-inmate Bill Baker, a former Alcatraz convict and author. It was a fascinating and very personal behind the scenes account of his life behind bars at Alcatraz. He explained how the beautiful clear nights were the worst. The twinkling lights of the city and listening to people laughing and music playing were tantalizingly close. It was a constant reminder of how tantalizingly close freedom was and how he was stuck with a banal daily routine. 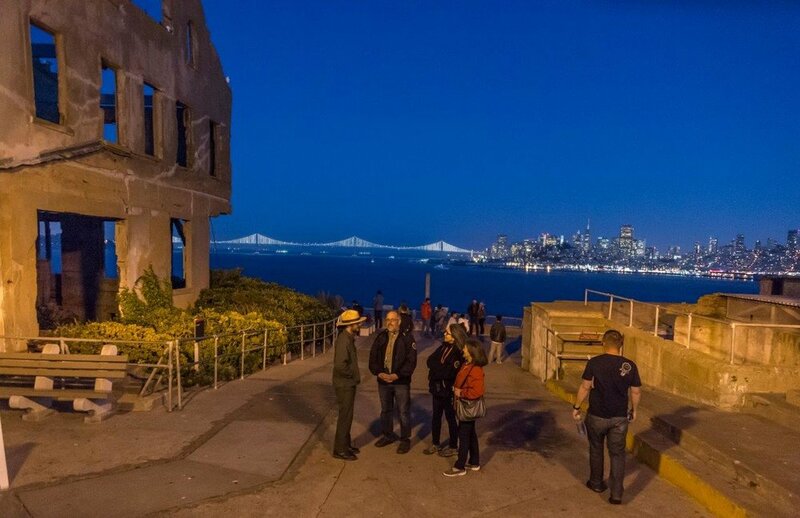 Bill's stories came to life as I strolled the grounds on a moonlit night with sweeping views of San Francisco and the magnificent Golden Gate Bridge. For something truly unique, don't miss the Night Tour Experience at the Rock. 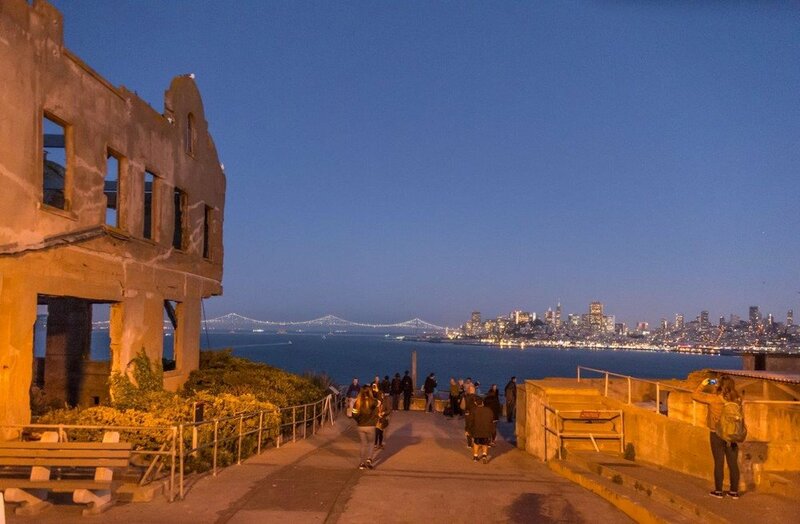 If you snag tickets to The Alcatraz Night Tour consider yourself very luck. A limited number of tickets are sold and they go fast so be sure to book it well in advance. 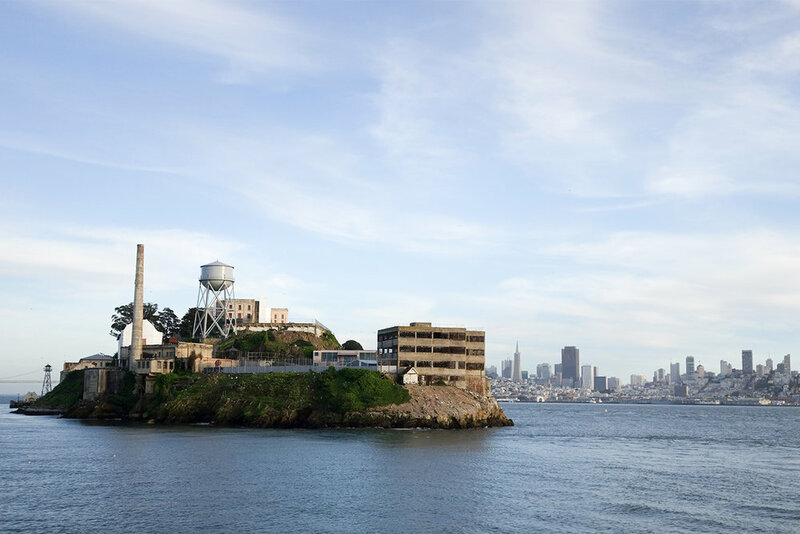 To purchase Alcatraz tour tickets day or night call (415) 981-ROCK or visit Alcatraz Cruises. I recommend taking the first night boat over to have the option to come back on either the first or second boat depending on energy and interest level. Always better to have extra time than not enough. 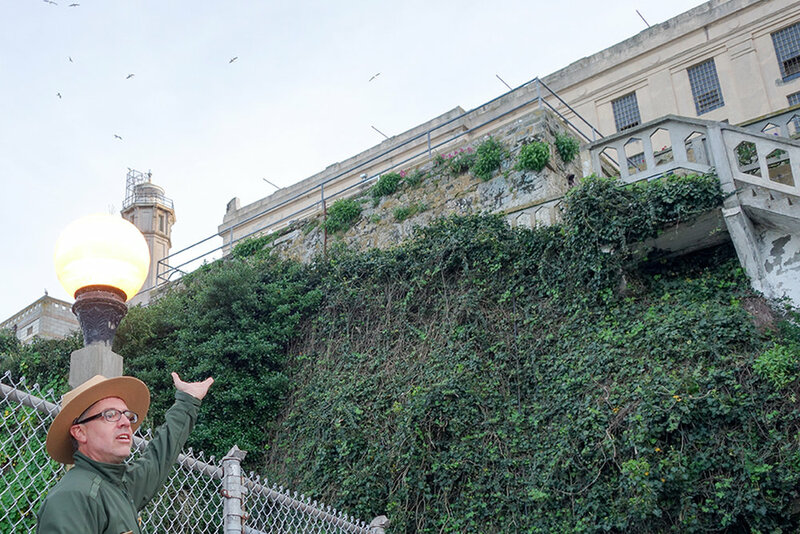 Another great experience is a behind-the-scenes tour on Alcatraz that is designed for small groups and includes 2-hr behind the scenes exploration of a number of "off the beaten track" areas of Alcatraz combined with the full Night Tour experience. 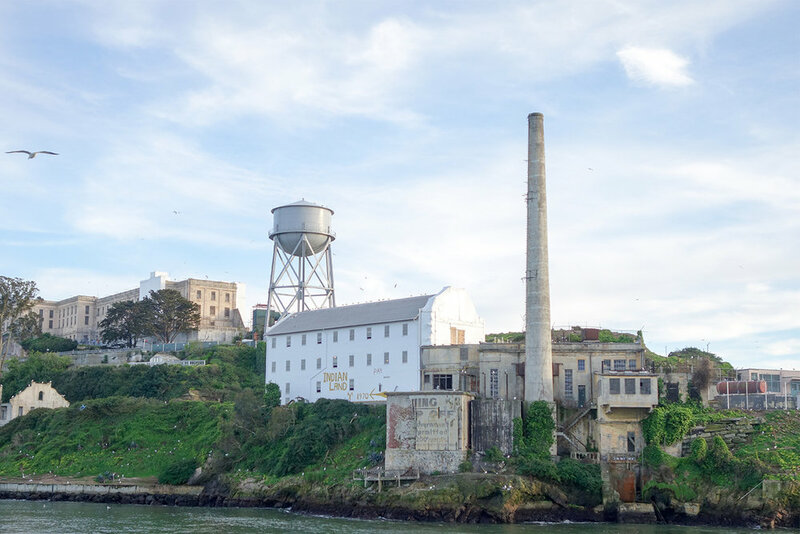 It's designed for repeat local visitors who want a new experience and out-of-town visitors who are truly passionate about Alcatraz history. Food is not allowed or served on the island. Fill your bellies before departure. I would not describe this tour to be designed for families because of its vigorous pace and lengthy duration. The minimum age is 12 but it's great for kids who are not easily scared. Add time to your travel for parking. Alcatraz Cruises recommend these parking lots but make sure to take note of closing time. There is off street parking however the meters run 2 hours. I parked at Imperial Parking Garage on Bay St because it's 24 hours and close to Pier 33.